Casting mold with three different patterns: rectangle, oval, circle. 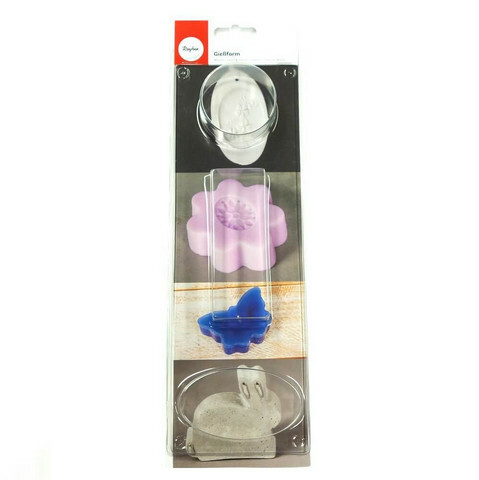 Use molds for concrete casting or soap making. The bottom of the mold is flat. Dimensions: circle 5.9 cm, depth 3 cm, rectangle 4.2x11 cm, depth 3 cm, oval 8.2x5 cm, depth 3 cm.